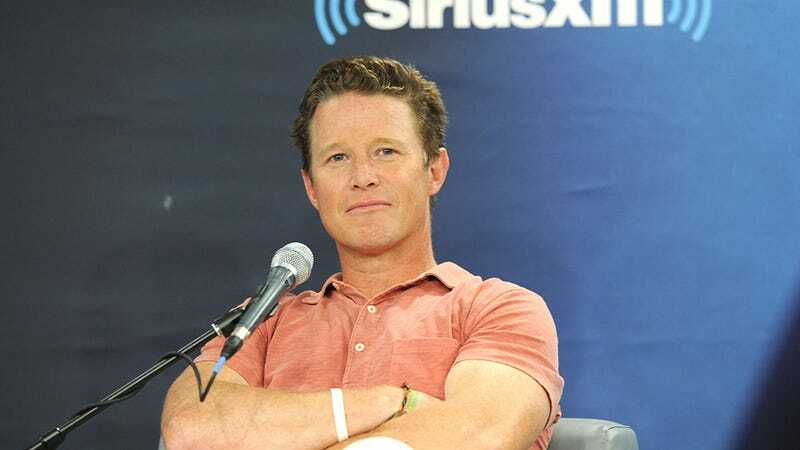 In a move worthy of several record scratches in a row, disgraced Today Show outcast and bus buddy Billy Bush might sue NBC over the leak of that infamous tape to the Washington Post last week. Page Six’s report on this rumor doesn’t provide many details about the potential suit, but does make Bush seem furious with the network. While NBC bids to ax him over a “morality clause” in his contract, he is blaming NBC for the leak of the tape to the Washington Post, and may even sue. It is believed someone at NBC News leaked the tape to make it public ahead of the debate, because of frustrations that “Access Hollywood” had planned to air it the following Monday. Wow! He made at least one good choice! Joe Jonas, the unmarried Jonas brother who wasn’t recently fake dating Kate Hudson, did an AMA on Reddit this week to promote his new DNCE song “[I’d Look Up the Song Title If I Cared More],” and things got sorta racy! Here are some emails Blink 182's Tom Delonge sent Hillary Clinton’s campaign chairman about aliens.